First off, who doesn’t love cookies, they are warm and comforting anytime but especially in cooler weather. 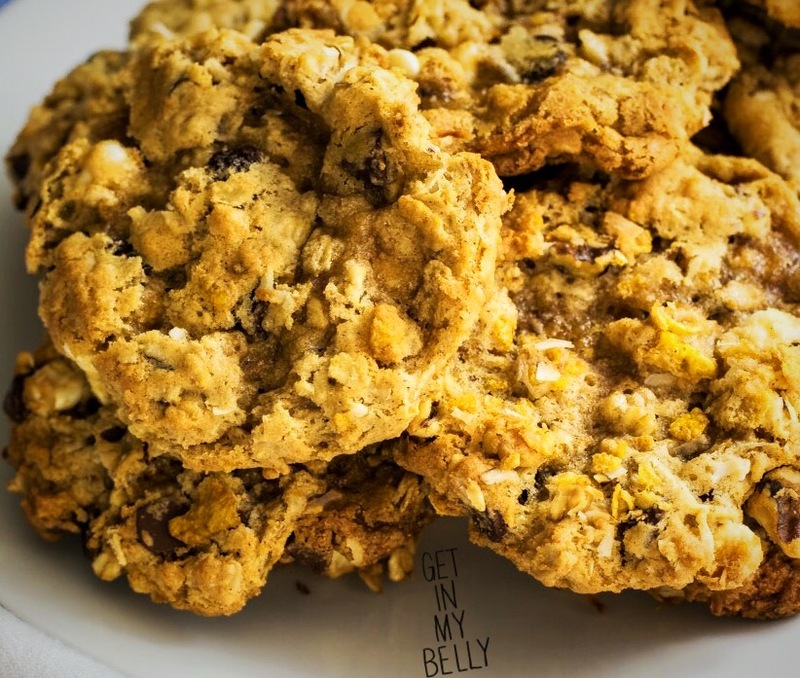 With Fall coming on and the holidays approaching, you know cookie exchanges, parties, and holiday baking, I thought I would do a series of cookie recipes in the next two months to maybe add a few new ones to your rotation. I would also love if you have a favorite to share with me. Place coconut and pecans on a baking pan. Bake at 350° for 6 to 8 minutes or until toasted, stirring every 2 minutes. Set aside to cool. In a large bowl, cream butter and sugars until light and fluffy. Add eggs and vanilla beat well. Combine the flour, baking soda and salt. Add to creamed mixture beat well. Stir in the oats, chocolate chips and toasted coconut and pecans. Drop by rounded teaspoonfuls onto greased baking sheets. Bake at 350° for about 11 minutes or until browned. Remove cool for about 5 minutes and enjoy. This recipe makes about six dozen. I like to also make ice cream sandwiches with these, if you want to make them also adjust your baking time to nine minutes.